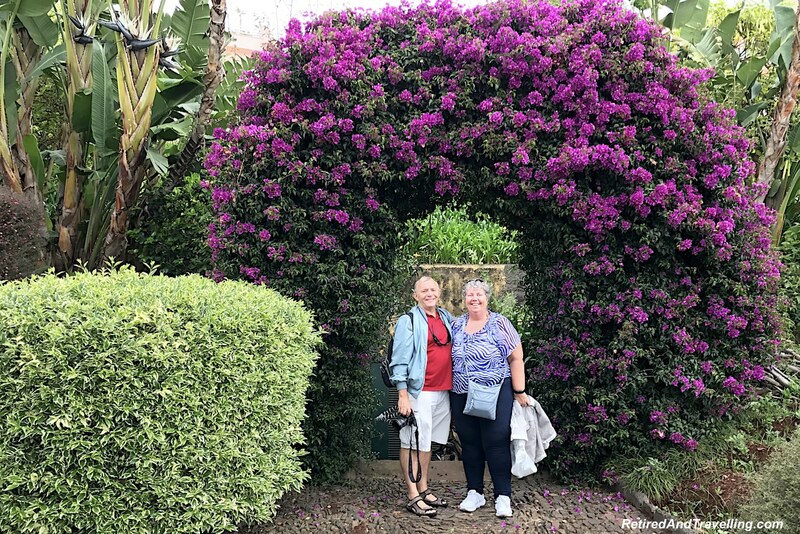 We had really loved our visit to the Canary Islands. 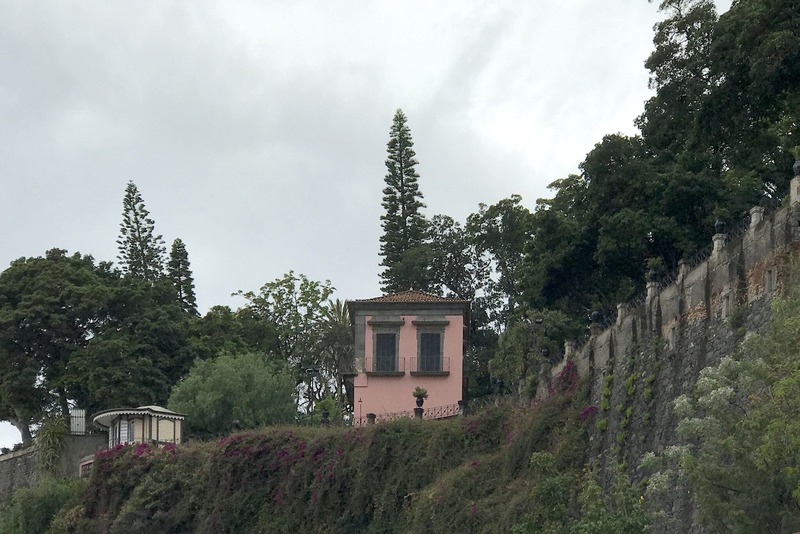 This stop in Funchal, Madeira would be yet another volcanic island in the long chain that sits in the North Atlantic. And it would be our first taste of Portugal. We saw yet more volcanic islands in Portugal when we visited the Azores. 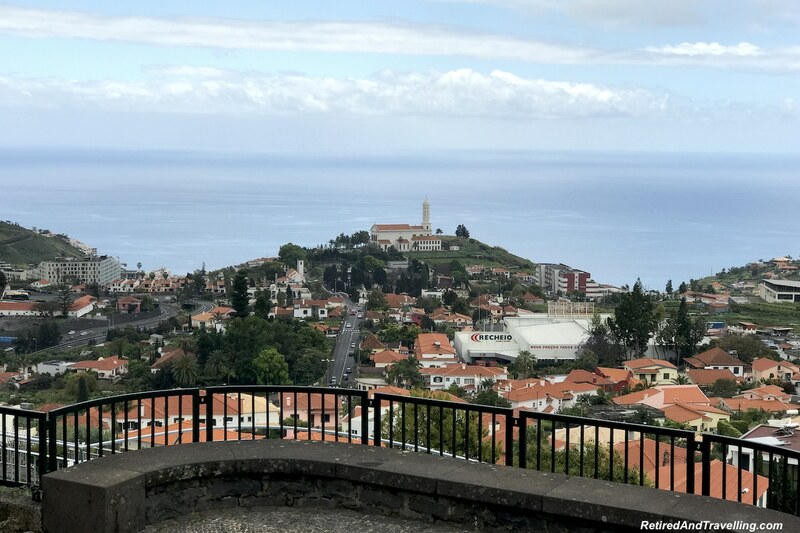 On this stop in Funchal, we pre-booked an afternoon tour to several spots to see the hills and valleys of Madeira. We planned to wander in town in the morning. 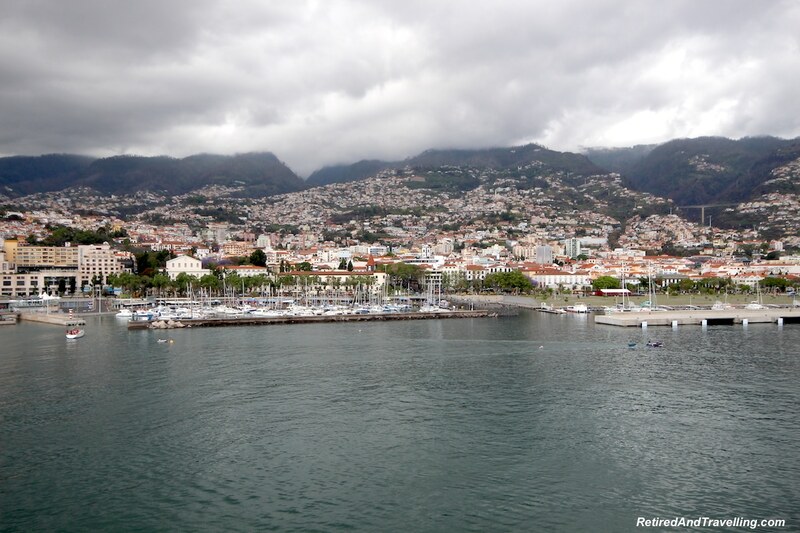 It was raining as we sailed into Funchal. The clouds hugged the colourful terraced land. 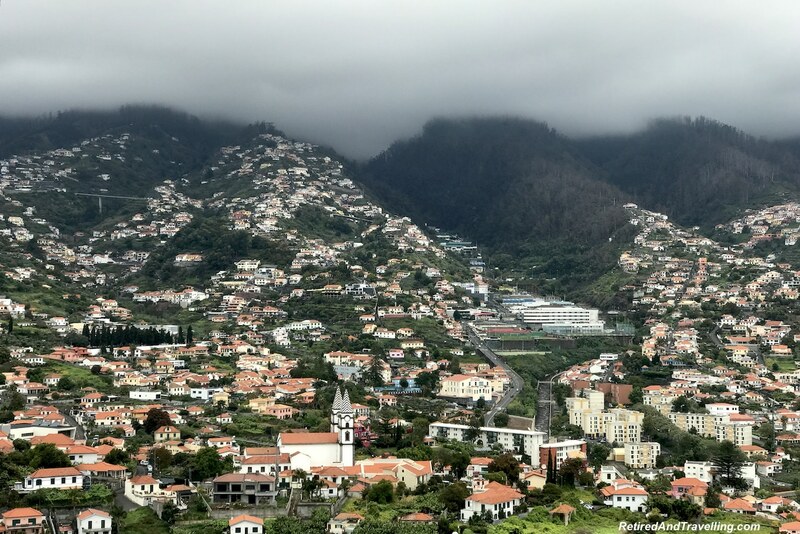 This was our first view of the hills and valleys of Madeira. 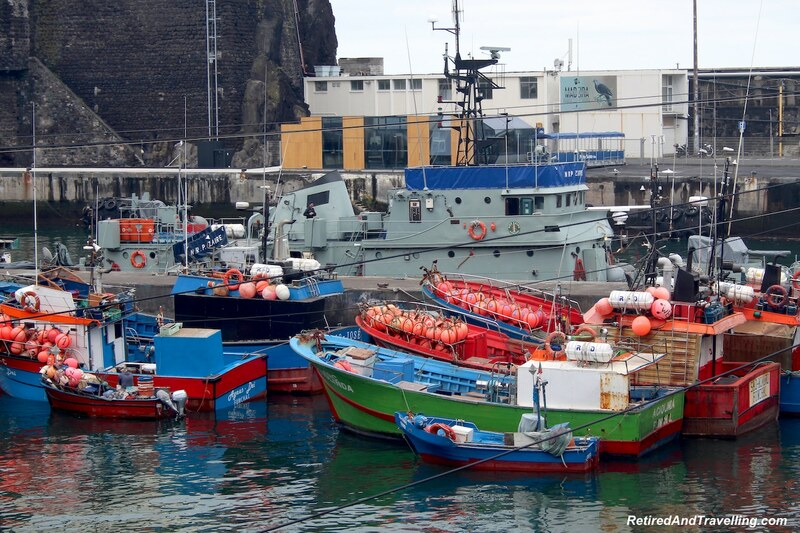 We could see colourful fishing boats and large private marinas. We did not plan for water sports on this list. 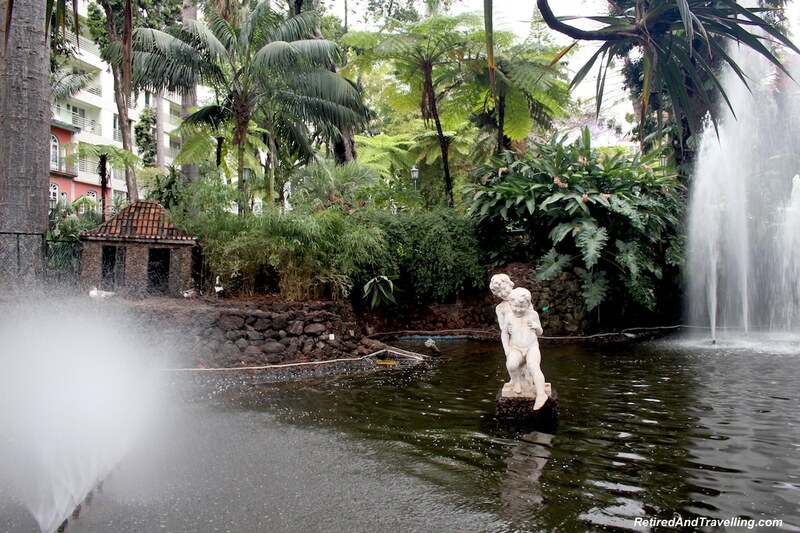 But with water that is over 20℃ (68ºF) all year round, this would be my type of place to visit for water fun. Some days it was nice not to be rushed to leave for a pre-booked tour first thing in the morning. We had a leisurely start to the day before we headed into town. After the morning rush, we took the shuttle into town. This was such a slow process that we walked back from town. The 30 minute walk was still faster! 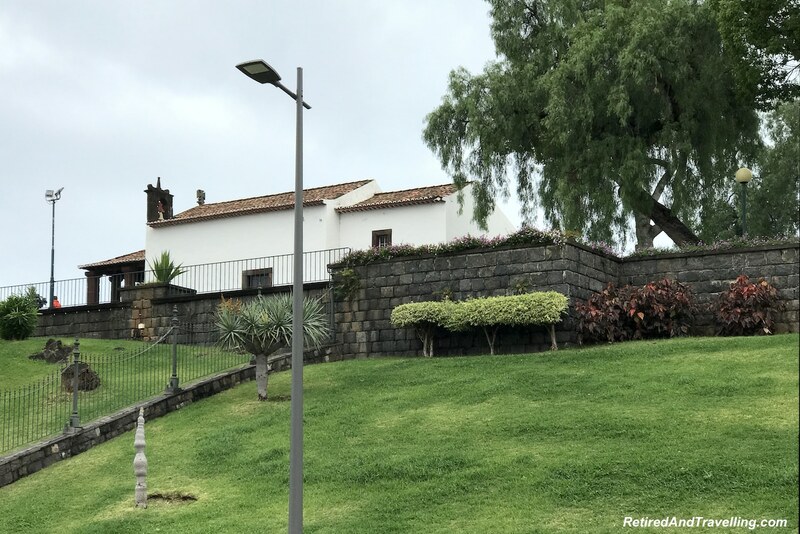 Funchal had great pedestrian walkways in the town. 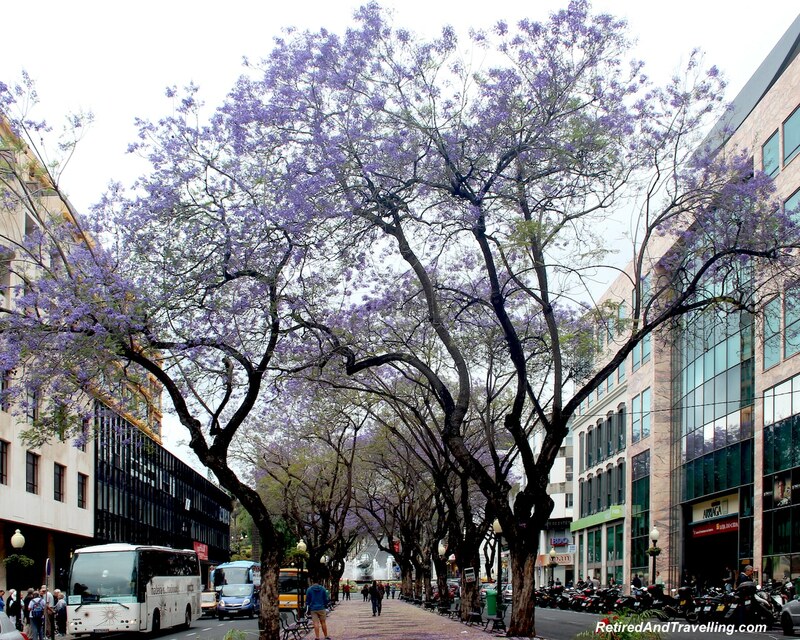 The trees were in bloom with purple flowers. 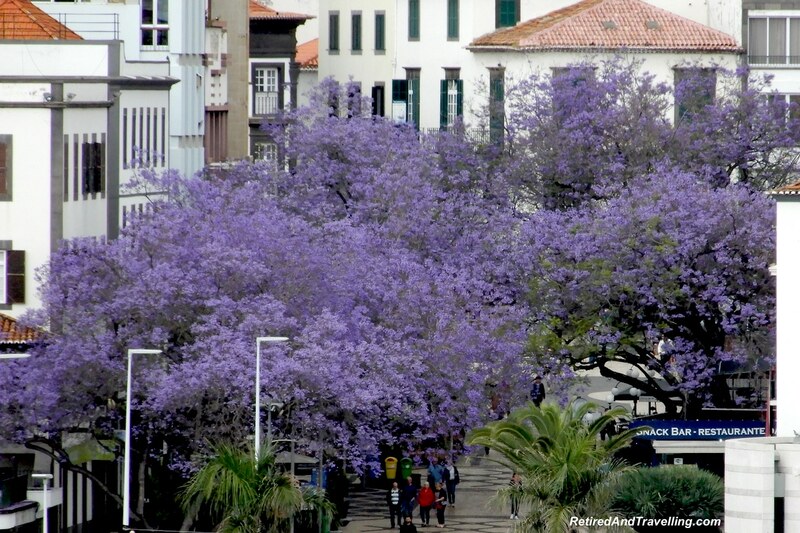 When we visited Lisbon, we would see more of these beautiful Jacaranda trees. 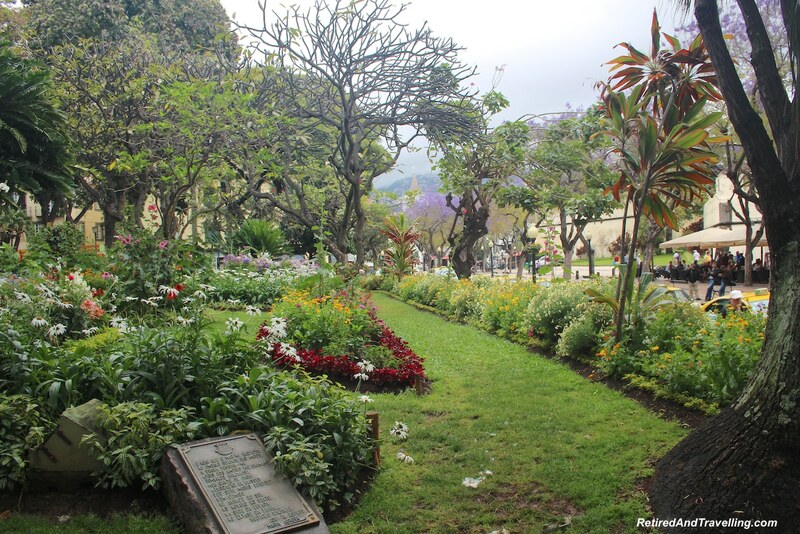 The small park in the centre was a peaceful oasis with fountains and statues. 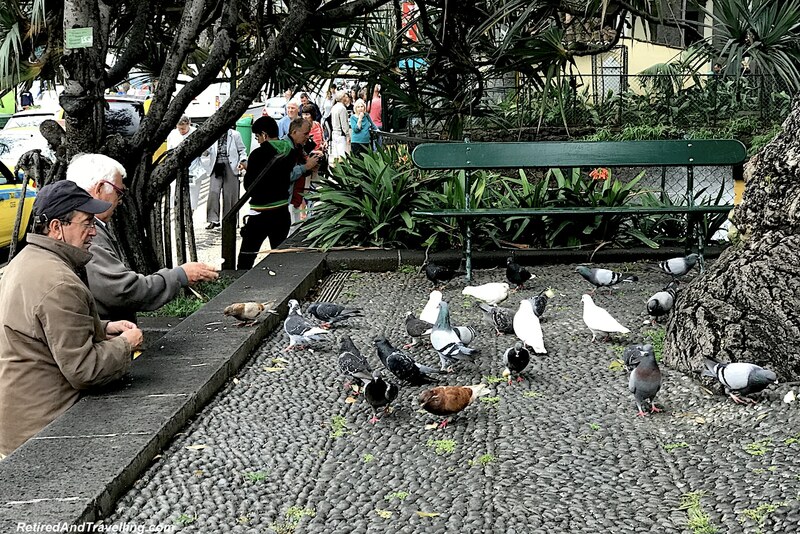 The locals fed the pigeons. We wandered along looking at the town sights. The bank had an artistic flair. 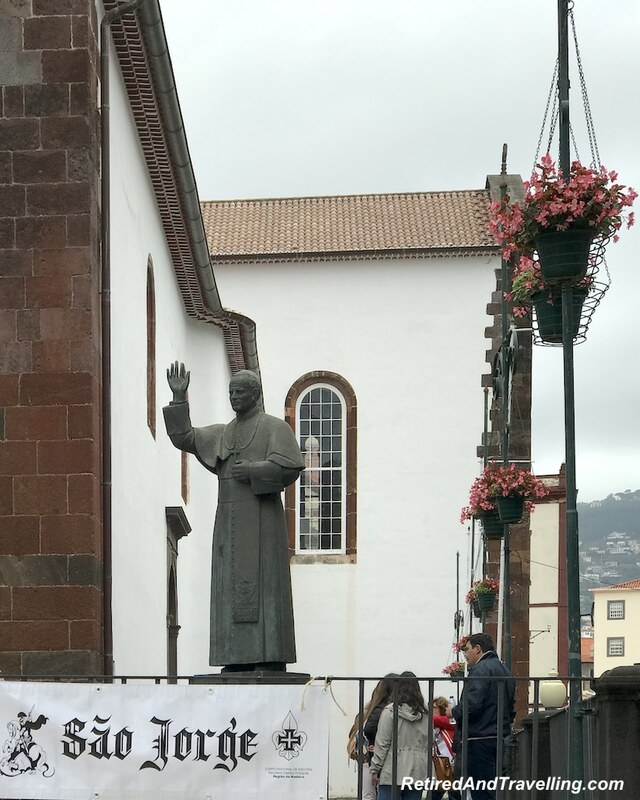 The Funchal cathedral seemed to be a gathering spot. We peeked in the church to see the beautiful alter. 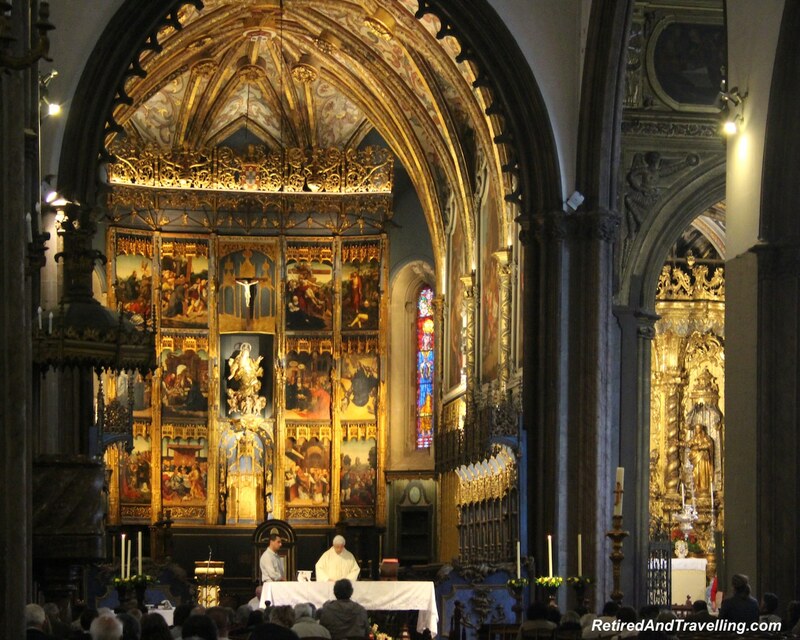 But a mass was just starting so we did not stay. 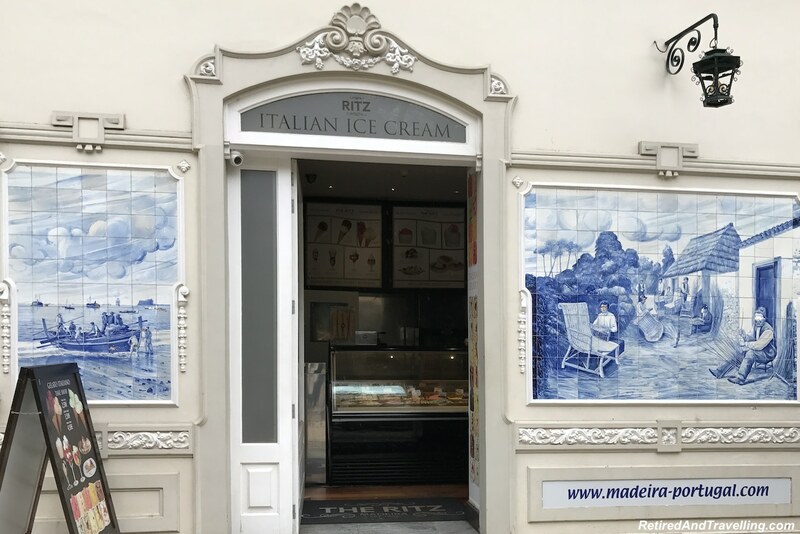 We were delighted with the traditional blue tile display we found on The Ritz Gelato Bar. This was our first taste of the awesome tile artistry we would be surrounded with in Porto. We didn’t get gelato on this trip but we flagged it for a return visit. Leaving the main street, we wandered along the artistic cobblestone streets. 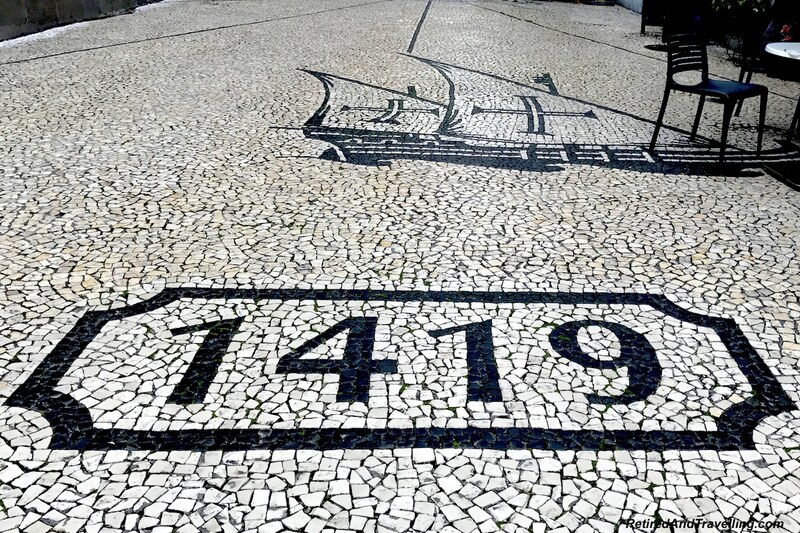 We would find this street art again when we walked the street of Lisbon. A stop at a local pastry shop provided my first taste of the infamous Portuguese custard tarts. 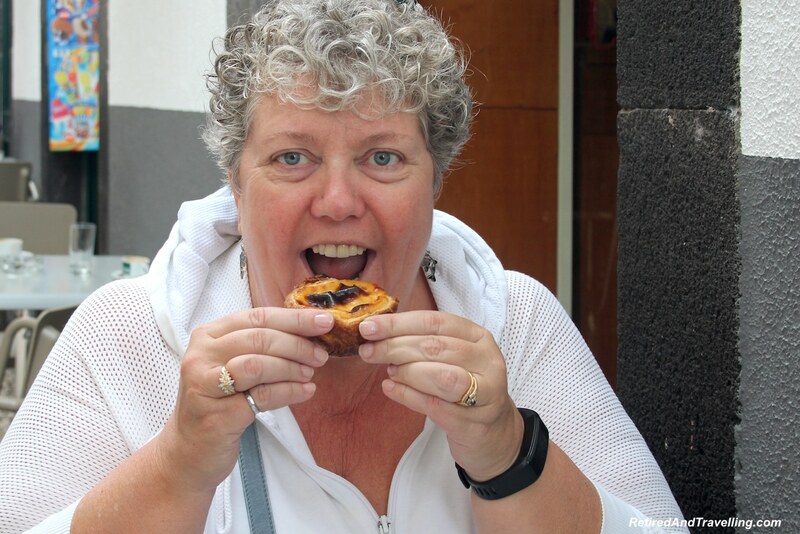 We would become quite the custard tart snobs when we taste tested our way around Lisbon. 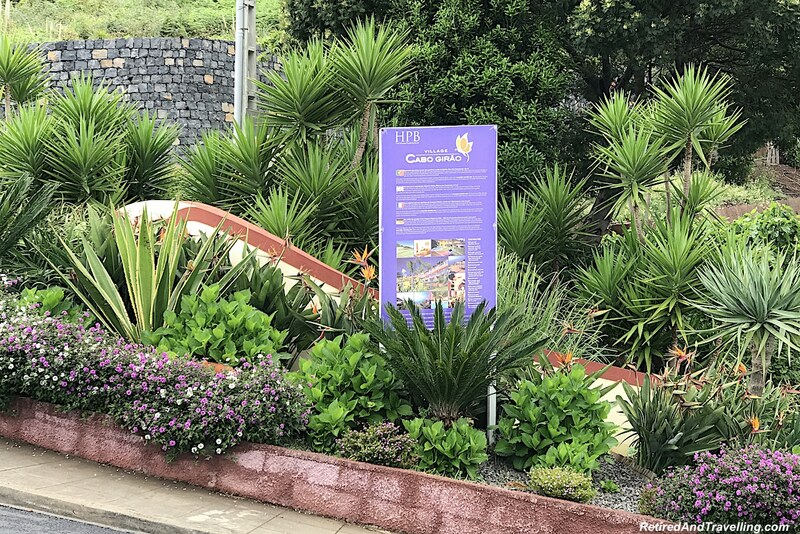 There is a large botanical garden on the hill above the main town. Other people from our cruise ship said that the garden was beautiful. We only caught it from below as we walked back. We did not want to be late for our afternoon tour. 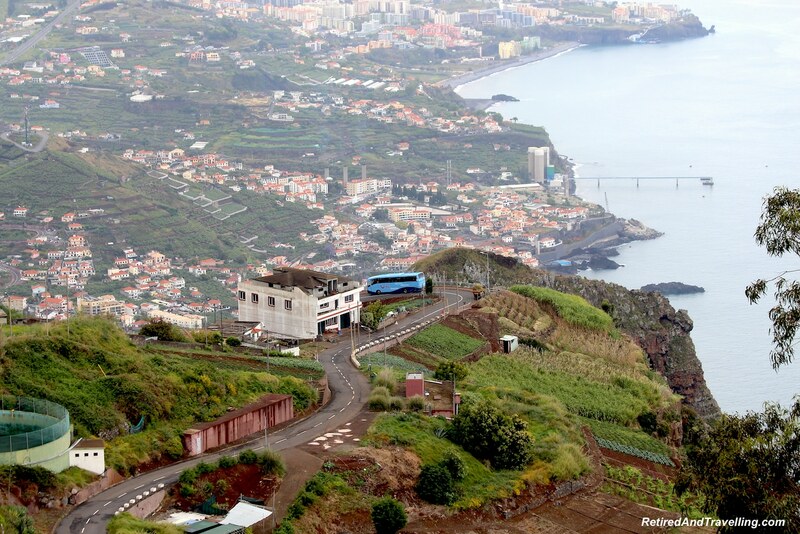 Our tour in the afternoon provided us with a great view of the hills and valleys of Madeira. 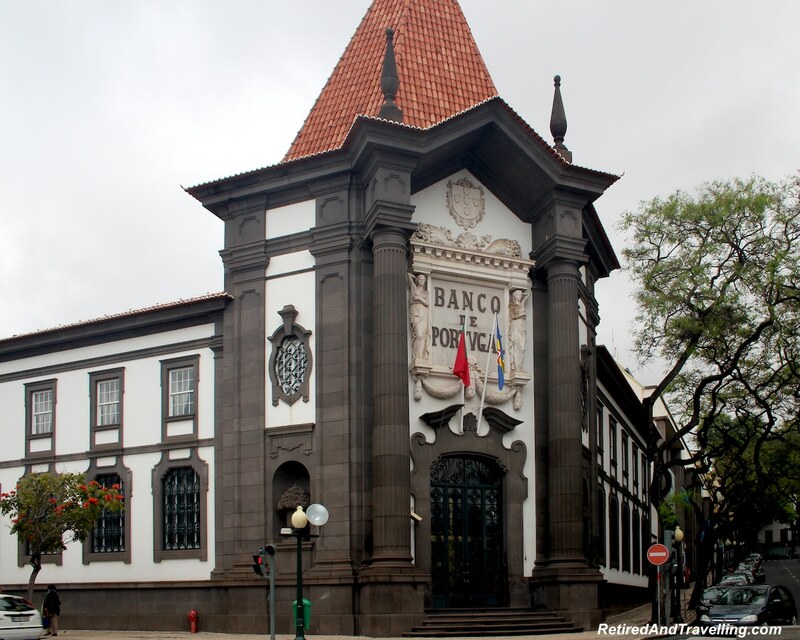 The first stop was at Pico dos Barcelos. This provided a wonderful viewpoint for a panorama of the entire city. 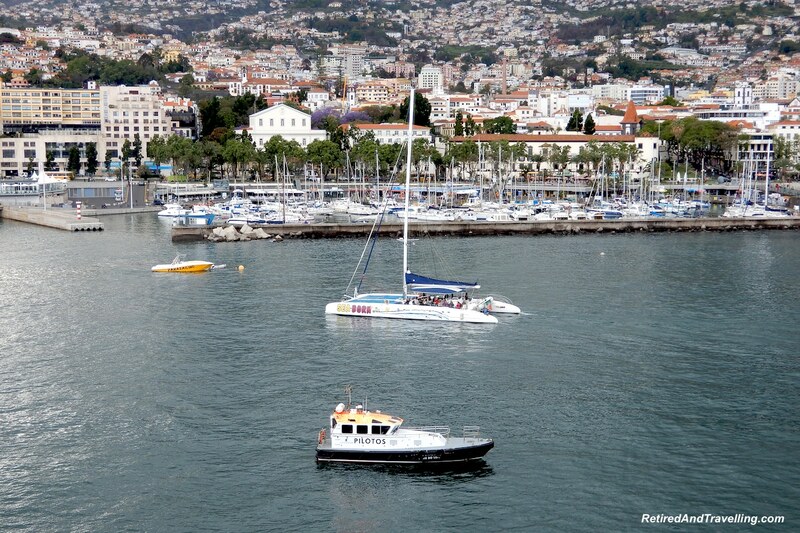 We could see our cruise ship far off down in the harbour in Funchal Bay. As we turned around, we got great views in all directions. The lava flows were distinguishable as green fingers of land. The terraced houses were everywhere. 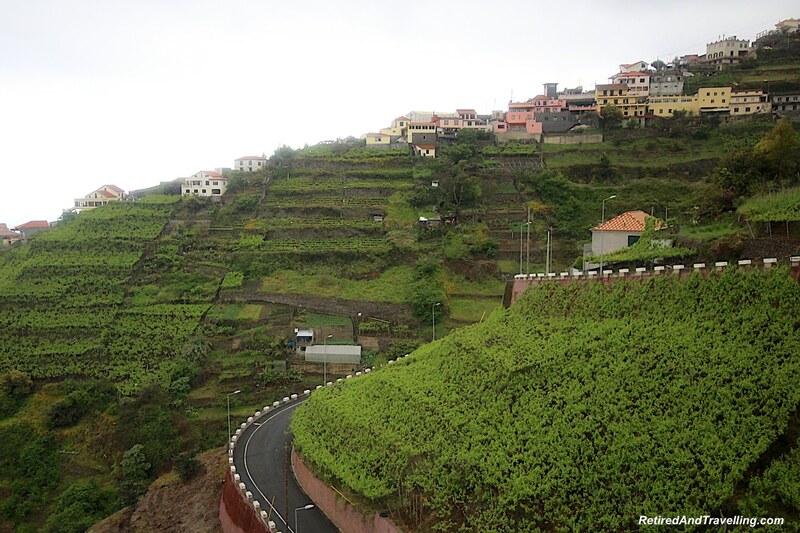 From Pico dos Barcelos, we got a scenic drive along the coast. 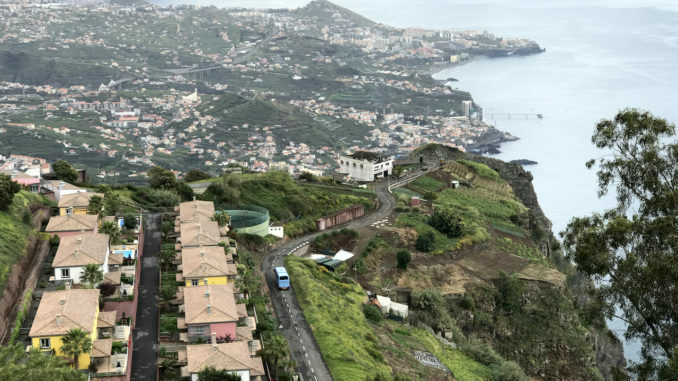 We moved along the roads that wind through the hills and valleys of Madeira. Crops were planted up the hills. Bananas seemed to be planted on every spare space. 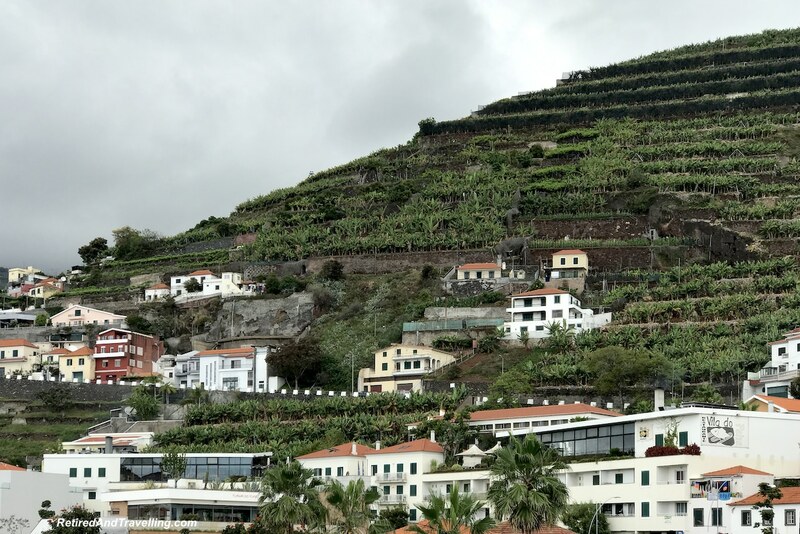 Sitting beside the bananas were grape vines for the famous Madeira wine. We wondered at the stamina it took to work the fields. 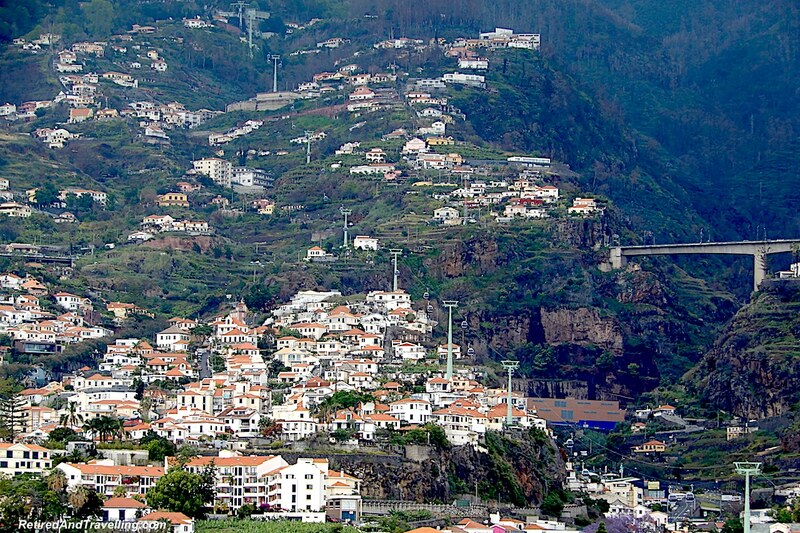 Houses clung to the hillside. 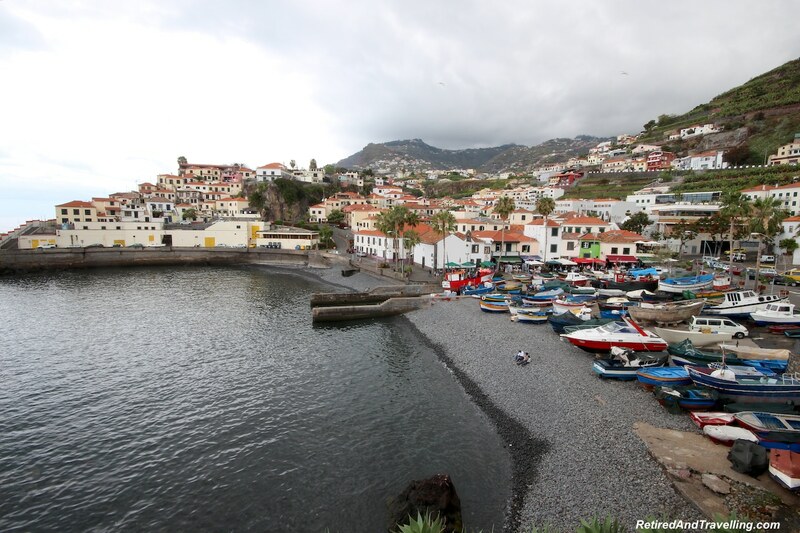 We finally stopped in the lovely fishing village of Câmara de Lobos. The bus let us out on the main street above the port. We could see brightly coloured flowers, houses and fields terraced above the town. 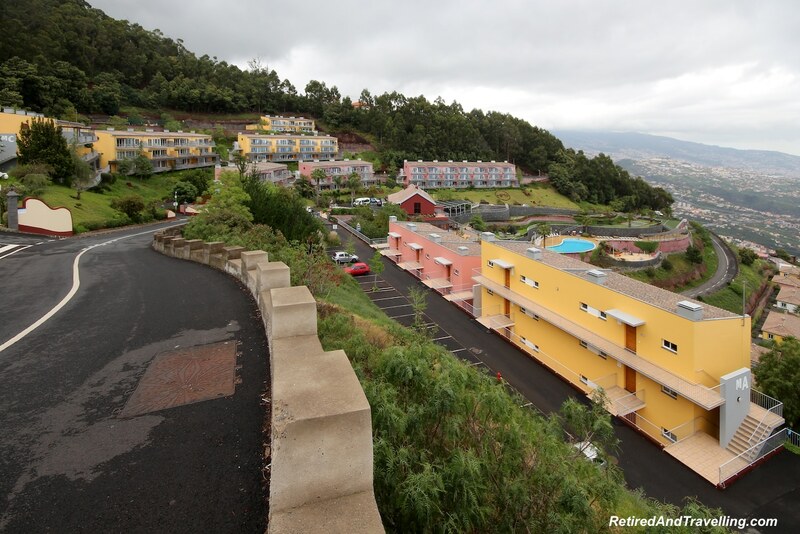 It reminded very much of some of the small towns in La Palma in the Canary Islands. 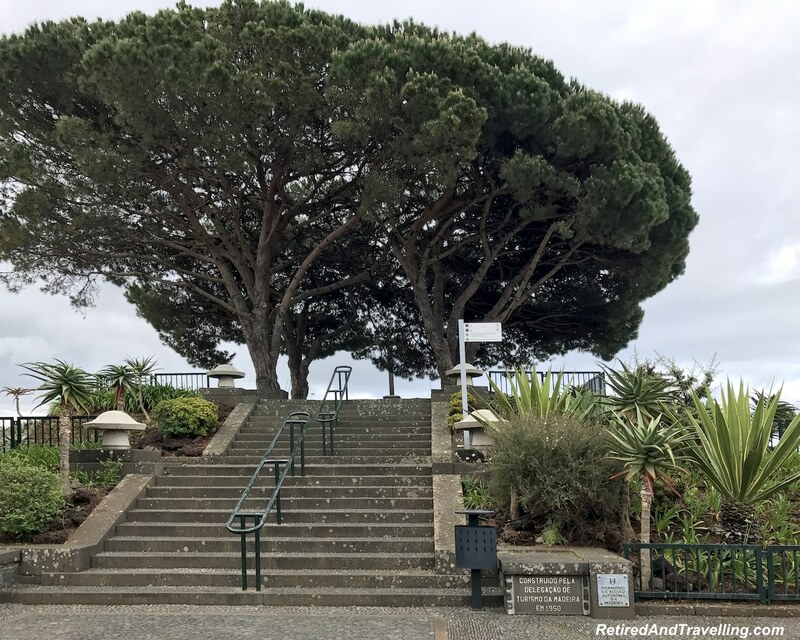 The tour description said there was a guided walking tour of the village but we just got pointed to the stairs down to the port. From the heights we got a great view of the colourful fishing boats. We climbed down the stairs and wandered along the beach. There were small shops and plenty of small restaurants. 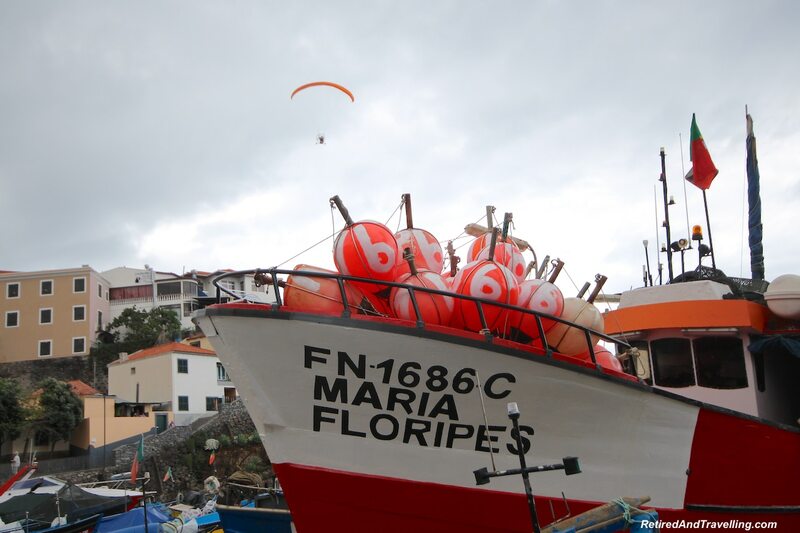 At one point, we heard a noise overhead and saw a motorized power glider circling the fishing port. We climbed back up the stairs to meet the bus. 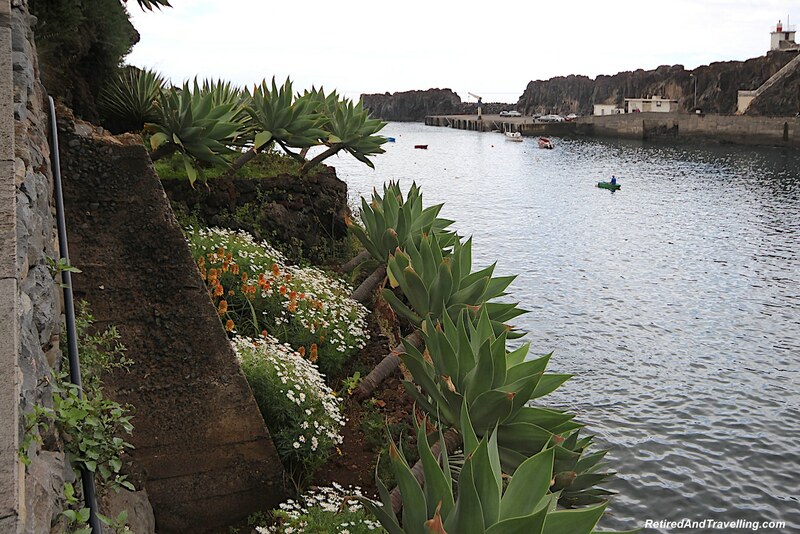 Câmara de Lobos is a delightful location with it’s dazzling bay. It was the inspiration for one of Winston Churchill’s paintings. Returning to the bus, we were not sure how many people stayed on the bus or never made it down the stairs. But it was a quaint little port. We knew the seafood would be fresh on a return visit. 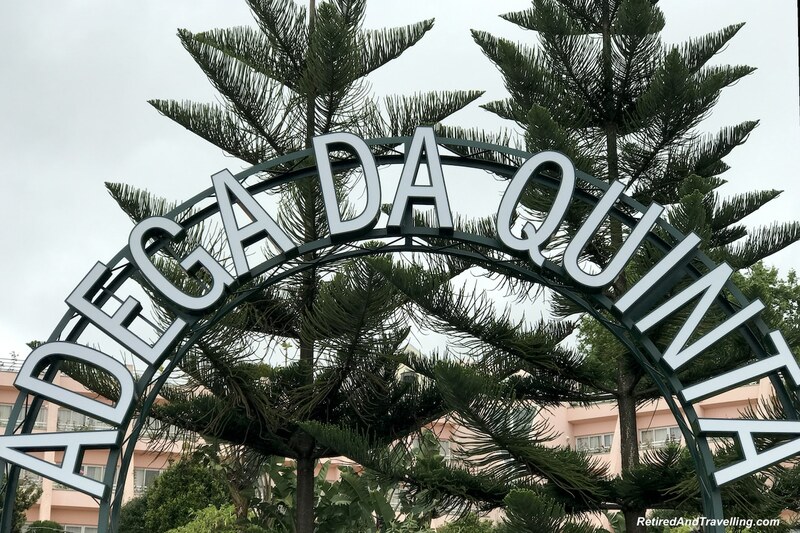 The bus continued to along the hill-hugging roads to Adega da Quinta. 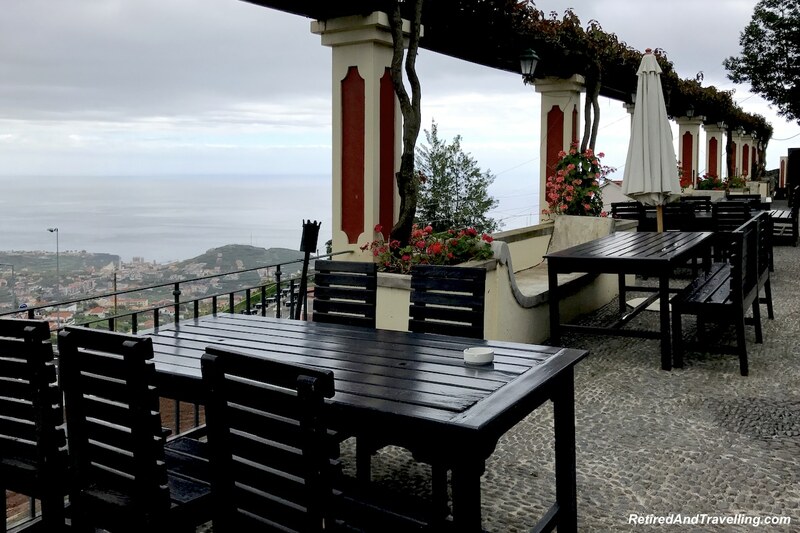 The restaurant is located high in the hills. The patio provided great scenic views. 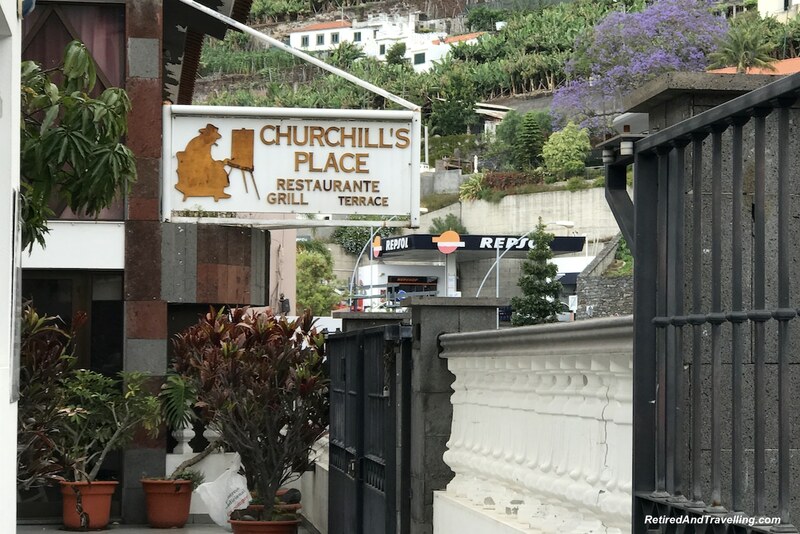 This was our stop for a sampling of famous Madeira wine and delicious honey cakes. We figured that the cake must have been soaked in wine as the tastes were almost indistinguishable. The wine cellar was open for us to take a look. 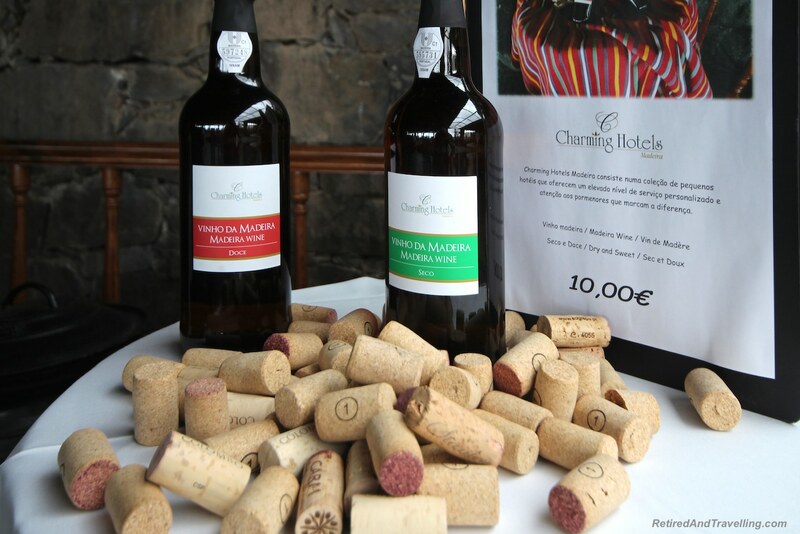 This was our first but not last taste of sweet Portuguese wine. 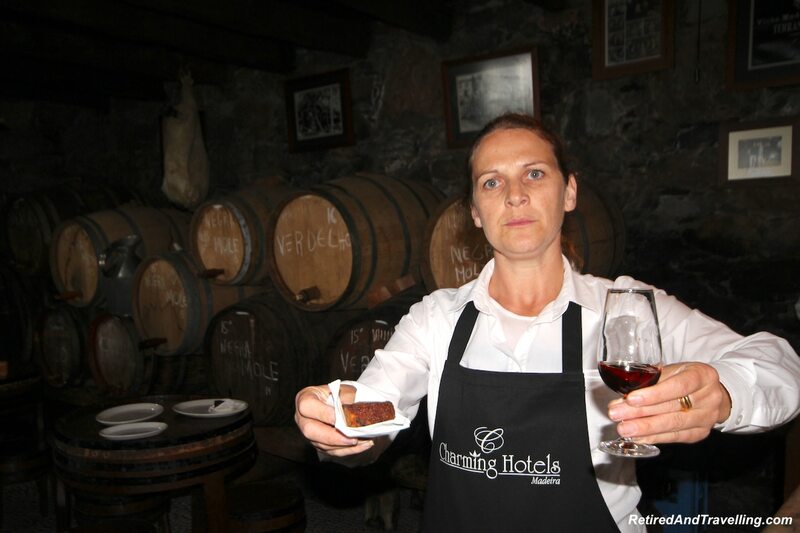 When we visited Porto, we enjoyed a day doing a port tasting in Porto. 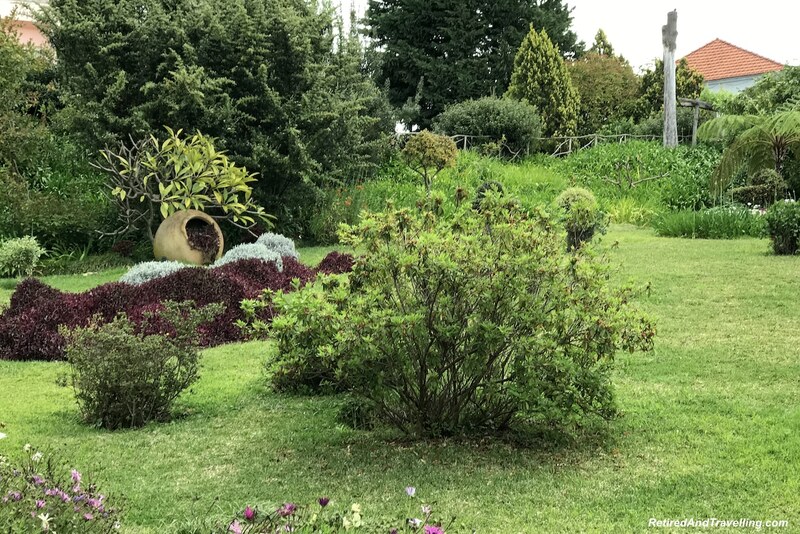 There was free time to enjoy the flowers and the gardens. From the property you could get a view down the hills to the sea. We could see the grape vines hugging the hills. It would be quite amazing to visit at harvest time. 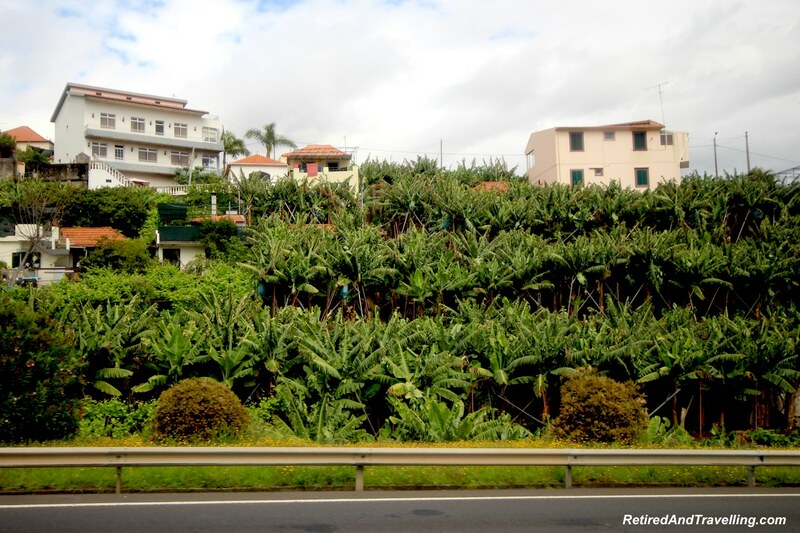 The winding mountain roads pass vineyards and banana plantations. The bus had to travel along one lava finger, find the bridge crossing between fingers and head back up. The roads were very narrow and twisty. In many places, the caverns were broad without bridges and we went around them. Paths often were available on more than one level. 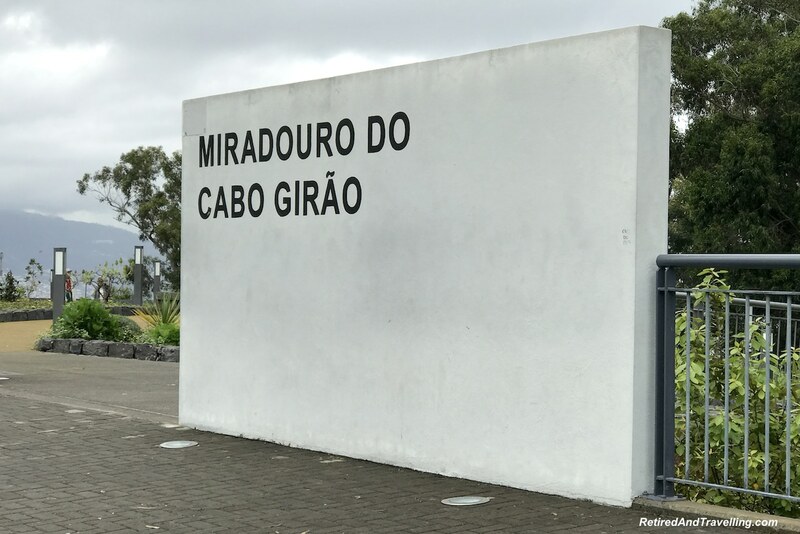 The bus finally arrived at the stunning cliffs of Cabo Girão. These are the highest cliffs in Europe and the second highest in the world. There were panormic views from all sides. 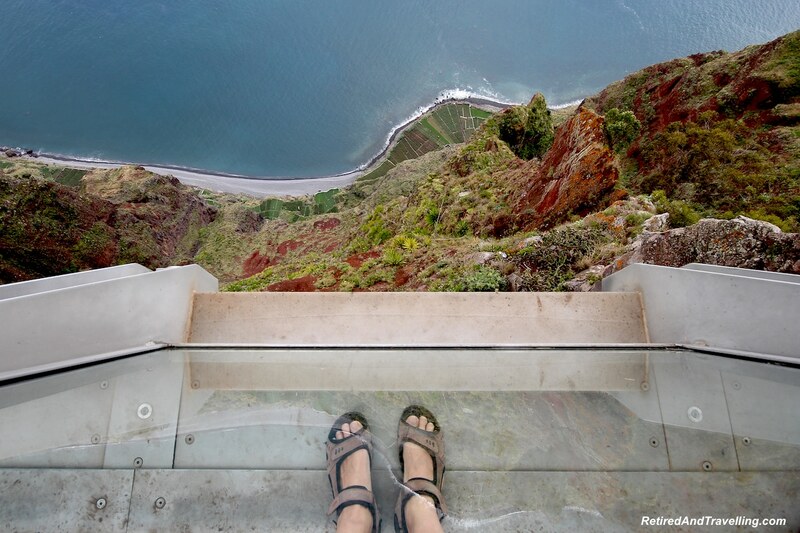 For the best views, you needed to stand on the glass observation platform. Not everyone was comfortable with the heights. From this vantage, we could see back along the coast we had travelled. If you looked straight down, you could see the sheer wall of rock. The small village of Cabo Giro spilled below us. It was easy to see the twisty roads we had climbed. We watched a bus navigate the turns. We saw a town bus that came up to the parking lot. There was also a sign for the #2 Yellow Bus. 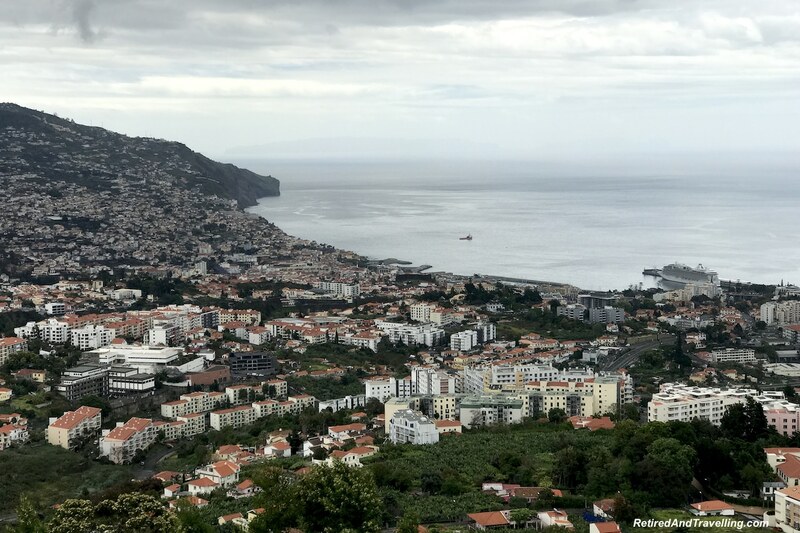 Either of those may be an option if we returned to Funchal and wanted this view again. 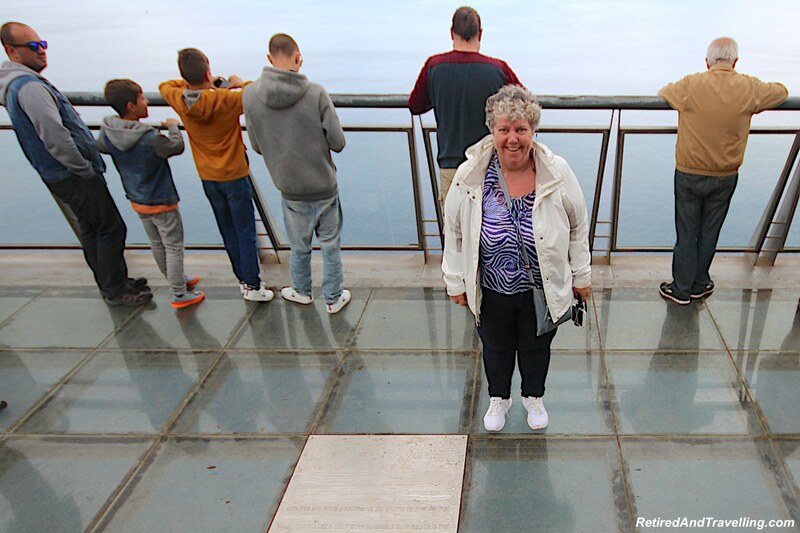 With everyone assembled back on the bus, we retraced our path along the crazy roads to town and the port. 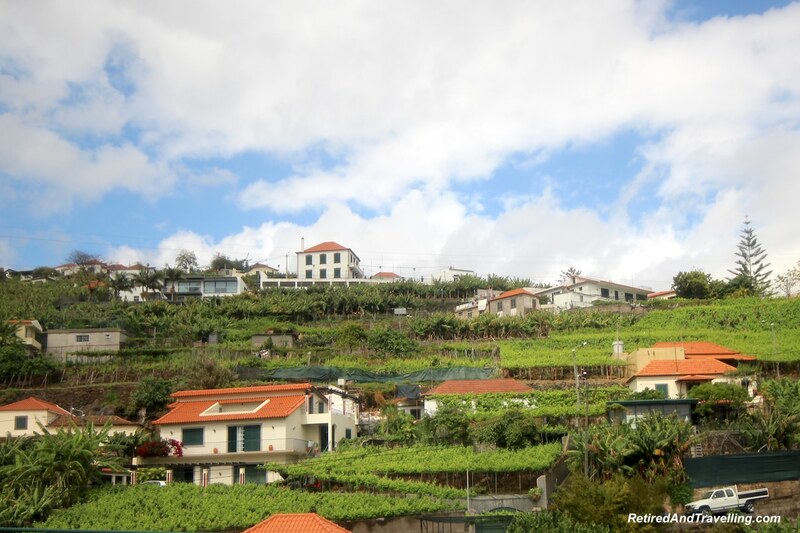 We certainly got a great sampling of the hills and valleys of Madeira! 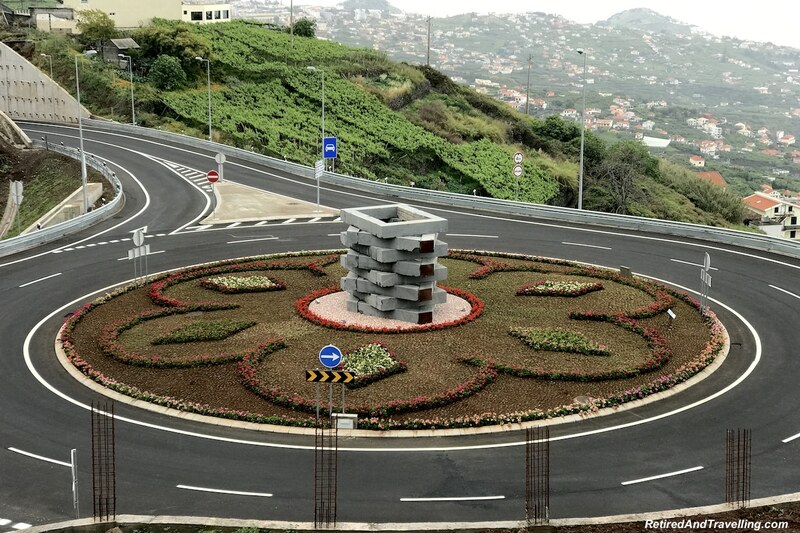 We had enjoyed our visit to Funchal. We did not do everything that was on our list. 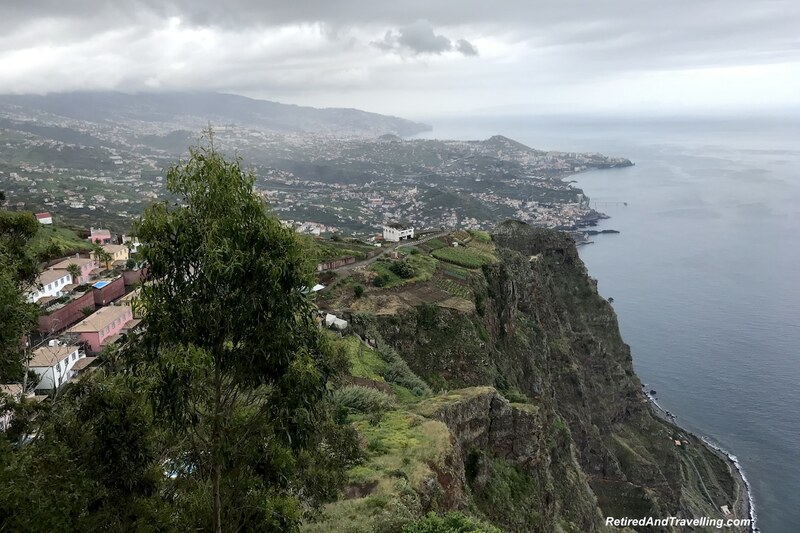 The rain and clouds tempered our desire to head high above Funchal. 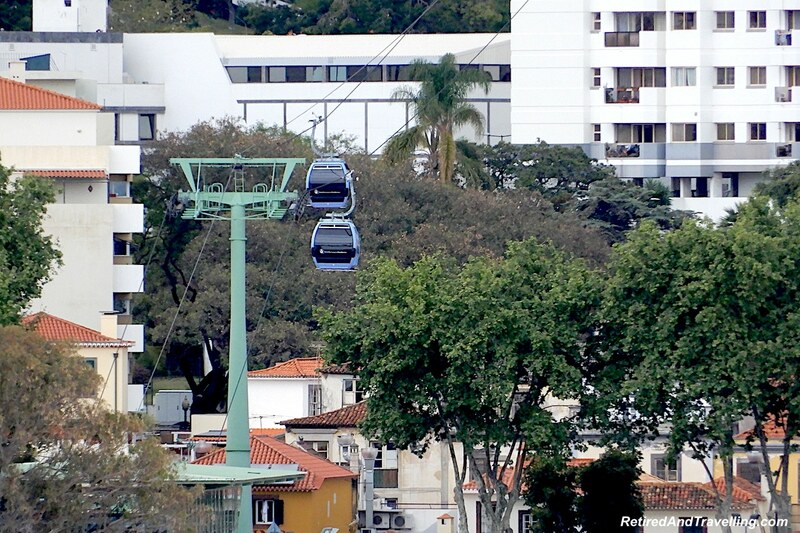 We could see where the cable car that ran up into the hills. Had planned to do that and then take the toboggan ride down the hill. Everyone who did try this raved about the experience. We would leave that for our next visit. 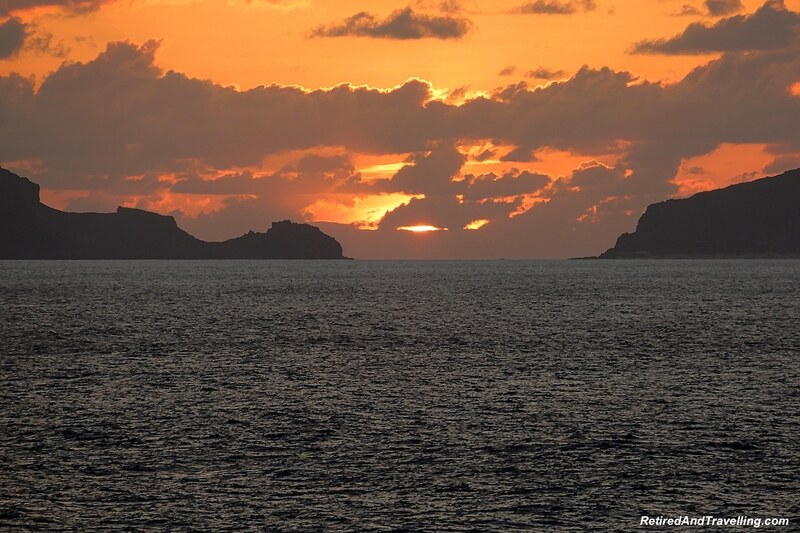 We were treated to the most amazing sunset as we pulled away from Funchal, Madeira. It was a great sign for our coming visit to Lisbon! 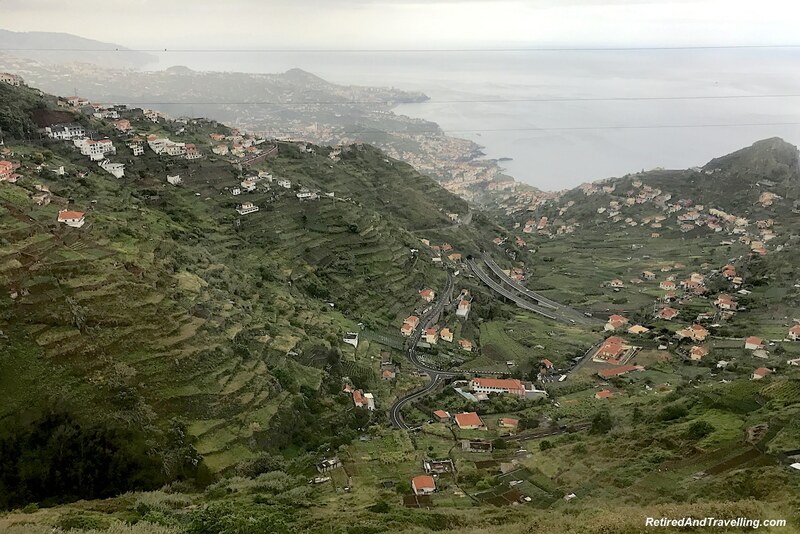 The hills and valleys of Madeira provided a first great taste of what we would find when we visited the rest of Portugal. 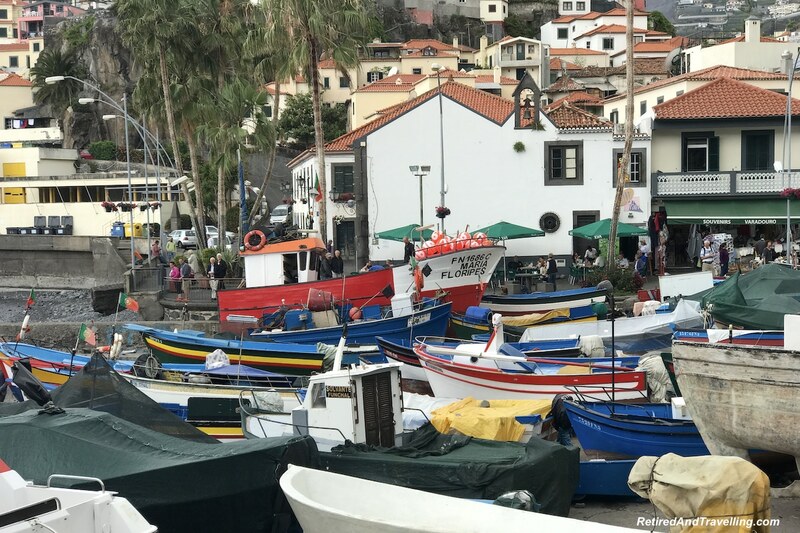 We will definitely be putting Madeira on the list of places we want to return to! It was a great first taste of Portugal. We were so excited about landing in Lisbon next! 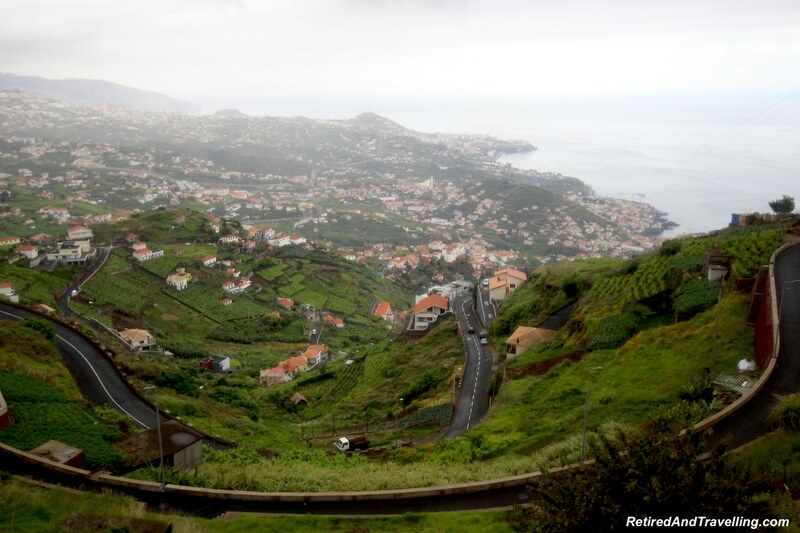 Did you love the hills and valleys of Madeira? 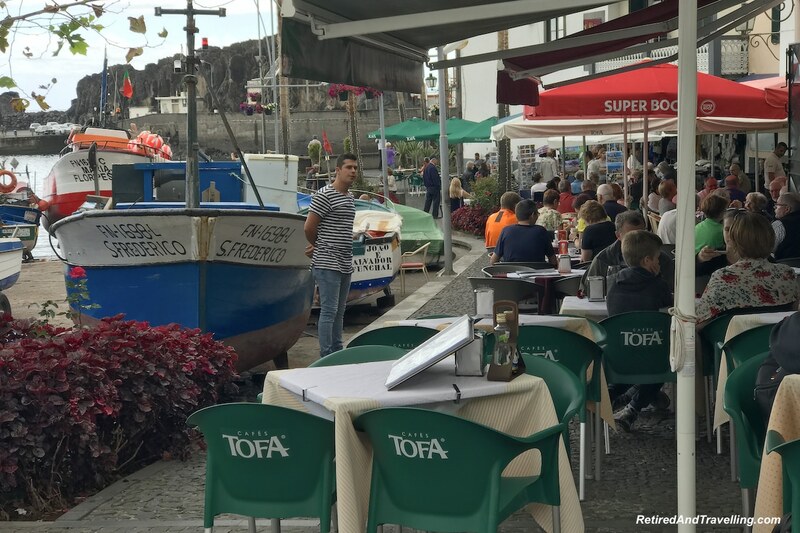 What else did you do when you visited Funchal? 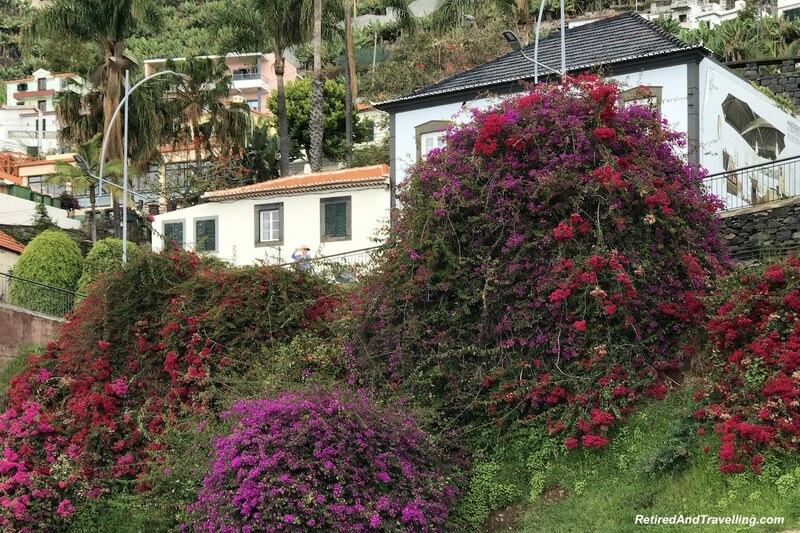 What other part of Madeira should we add to our return list?